The old polish of today is Rose Cashmere by Agnès b. It was a gift with one of my orders. I don't remember exactly when I got it but it was a long long time ago. I never wore this polish before and I'm glad I didn't, lol XD This polish is reaaally sheer without being a jelly. When you apply a jelly polish, it's sheer but the color is even. Here, after 5 coats there still are some "holes". I really didn't like this polish but I tried to "improve" this mani... 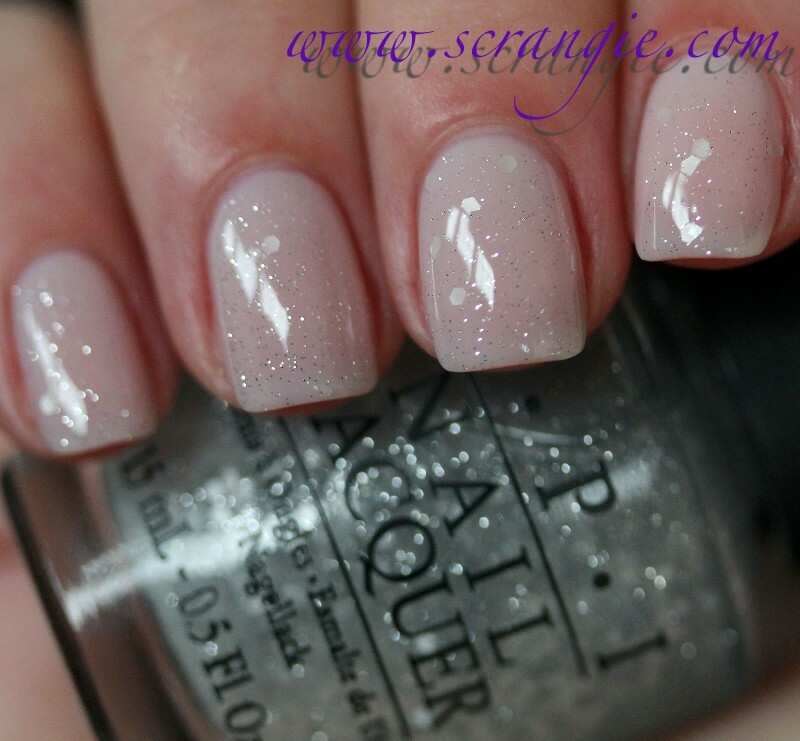 I added a coat of Nubar White Polka Dot, to get a OPI New York City Ballet-look. But this Agnès b. is nothing like OPI jellies, and White Polka Dot isn't Pirouette My Whistle. So... I removed this polish from my Stash List. I don't know what to do with it! I can't sell it cause I didn't pay for it, so for now, I just put it out of my sight.